Realty Executives Northern Arizona, with 9 offices and more than 150 real estate professionals throughout northern Arizona, is Realty Executives International’s Brokerage of the Month for November 2017. Led by Broker/Owner Don Bonnell and Managing Broker Cynthia Yannitelli, Realty Executives Northern Arizona offers expertise to buyers and sellers throughout Prescott, Prescott Valley, Dewey, Chino Valley, Sedona, Cottonwood, Camp Verde, Verde Valley, Payson, and cities throughout central and northern Arizona. 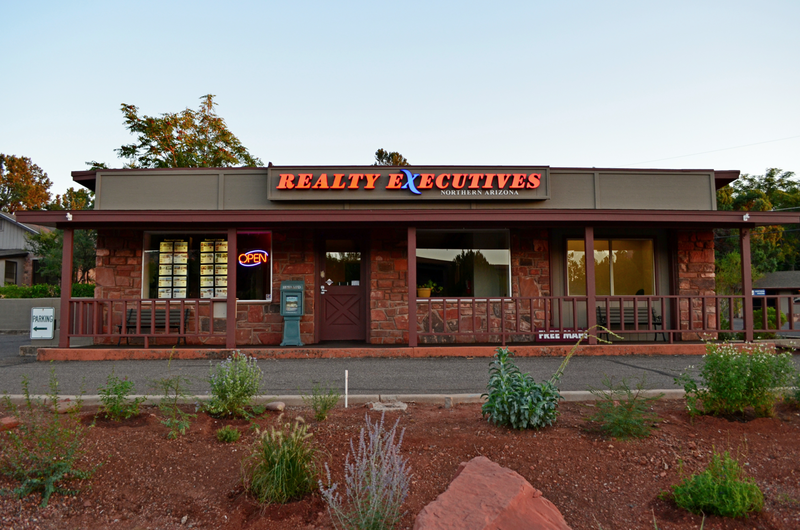 Realty Executives Northern Arizona recently moved its office in Sedona to 1165 West Highway 89A on the corner of Airport Rd and Highway 89A. The location has easier access to 89A and has numerous parking spaces. “We’re very excited about this move. It offers more visibility and convenience for our clients and staff,” said Philip Tatum, Associate Broker and Area Manager for Realty Executives Northern Arizona. The Sedona-area office has 28 Executives to serve the needs of buyers and sellers. Check out the views from the top! North America’s tallest single-family home and one of the world’s most unique residential properties is now for sale, listed by leading Prescott, Arizona brokerage, Realty Executives Northern Arizona. Built on the slope of Thumb Butte, Prescott’s most famous landmark, the 6,200 square foot house, known as Falcon Nest, reaches 124 feet tall. The home was designed by its owner, Phoenix architect Sukumar Pal, who specializes in energy efficient homes. The Pal Residence has held four residential architecture world records, including top honors for its unconventional heating and cooling systems that utilize passive solar for winter heat and micro climate and convective cooling in the summer. “As Prescott’s leading brokerage, we are thrilled with the opportunity to showcase such an extraordinary home. The buyer will likely be as exceptional as the home itself and will appreciate the one-of-a-kind nature of this home,” said Realty Executives Northern Arizona owner, Don Bonnell. Featured on HGTV’s Extreme Homes, the residence boasts commanding views of Thumb Butte and the San Francisco Peaks, located 90 miles away, and is priced at $2.8 million. To contact Realty Executives Northern Arizona Prescott office, call toll free at 800-887-7891 or visit the website at www.RealtyExecutivesAZ.com. Realty Executives Northern Arizona holds the number one ranking in market share for the greater Prescott area, with high producing professional agents, including the group that has this exclusive listing. Contact The Ray Team at 928-379-3100 or via their website: www.PrescottAreaLiving.com. To read more about Falcon Nest, click here. Realty Executives Northern Arizona has been voted “The Best Residential Real Estate Brokerage” in the Prescott, Prescott Valley, Dewey/Humboldt and Chino Valley areas by the readers of Quad Cities Business News. 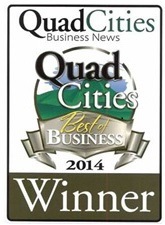 2014 marked the first year the business publication has held the contest, during which readers could vote for businesses in various categories. “I’m so proud of all of our 132 agents and our support staff who embrace a true desire to deliver tremendous customer experiences. We are thrilled to have earned the designation of best in residential real estate,” said Realty Executives Northern Arizona Broker/Owner, Don Bonnell. Realty Executives Northern Arizona holds the number one ranking in market share for the greater Prescott area and is one of the most productive real estate brokerages in Northern Arizona. For more information visit RealtyExecutivesAz.com.